Will Pandya make a comeback? Prior to the start of the ongoing ODI series between India and New Zealand, it was speculated by fans and critics alike to be a hard-fought one. The excellent form of both the teams in lead up to the series was one of the primary reasons for such lofty expectations. Contrary to early belief, the Kiwis have failed to pose any serious threat to the mighty Indian side and have surrendered meekly in both the ODIs played thus far. The Kiwis' bowling department has done an average job, but it is their batting that has led to their downfall in both the matches. Team India on other hand have been on a rampage as restoration of the wrist spin combination has worked wonders for them. Till the last series, they were forced to play only one of Kuldeep Yadav and Chahal due to the absence of Hardik Pandya. But, the inclusion of both Vijay Shankar and Kedar Jadhav in the team has enabled Virat Kohli to field both the wrist spinners. 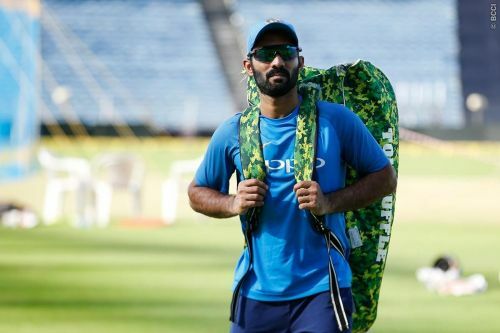 The pacers Bhuvneshwar Kumar and Mohammed Shami are also performing their duties perfectly and have been paving the platform for the spinners to attack during the second powerplay. The man with the golden arm, Kedar Jadhav, has also done no harm to his reputation as he continues to pick up wickets of crucial players at vital junctures in the game. India's bowling line-up looks more or less settled even in the absence of spearhead Jasprit Bumrah, which is a great sign. Coming to the batting unit, the trio of Rohit Sharma, Shikhar Dhawan, and Virat Kohli continue to score the majority of team's runs. The resurgence of MS Dhoni in recent times has helped stabilize the inexperience in the middle order. Kedar Jadhav has played his role perfectly in all the games he has played so far this year. The only area of concern for team India right now is the form of Ambati Rayudu in the middle order. Thus, Dinesh Karthik might replace him. Rayudu has not look comfortable in both the ODIs. He started off well in the second ODI but failed to accelerate after the 40th over which dented the run-rate severely. An ideal number 4 batsmen's job is to build the score on the platform laid by the openers and then to maximize it. Rayudu comprehensively failed and therefore, question marks have been raised over his position in the XI ahead of an in-form Dinesh Karthik. It would be harsh on Rayudu to drop him after just a few opportunities but for sake of attaining balance in the playing XI, he might have to make way for Karthik. The slow scoring rate of both MS Dhoni and Rayudu during the initial stages of their innings means ideally only one among them should be in the final XI. MS Dhoni and Jadhav should move a place ahead in the line-up to 4 and 5. This would ensure that Dinesh Karthik will play as a finisher at number 6. This was the combination that worked in the third and decisive ODI against Australia. This order looks like the ideal batting line-up at the moment for India. Virat Kohli is rested for the last two matches, which only means Rayudu can make a comeback in the fourth ODI and play at his favored number 3 position. Will Hardik Pandya regain the all-rounder's spot in the XI? 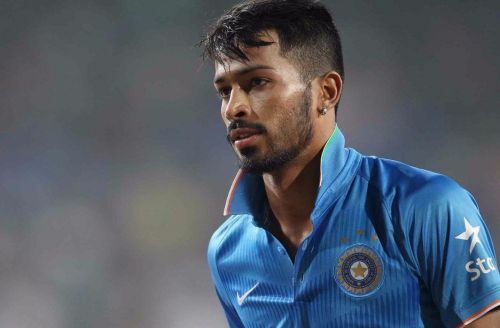 Hardik Pandya is vital for the balance of the team and could be slotted back into the team in place of Vijay Shankar. India would like to give the seasoned all-rounder enough match practice before the all-important World Cup commences in May. Although Vijay Shankar has not overly disappointed in the two outings, he has only bowled six overs and not faced a ball. Pandya's inclusion could enhance their flexibility in the batting order and also improve the pace battery. Rohit Sharma, Shikhar Dhawan, Virat Kohli, MS Dhoni, Kedar Jadhav, Dinesh Karthik, Hardik Pandya, Bhuvneshwar Kumar, Kuldeep Yadav, Mohammed Shami and Yuzvendra Chahal.